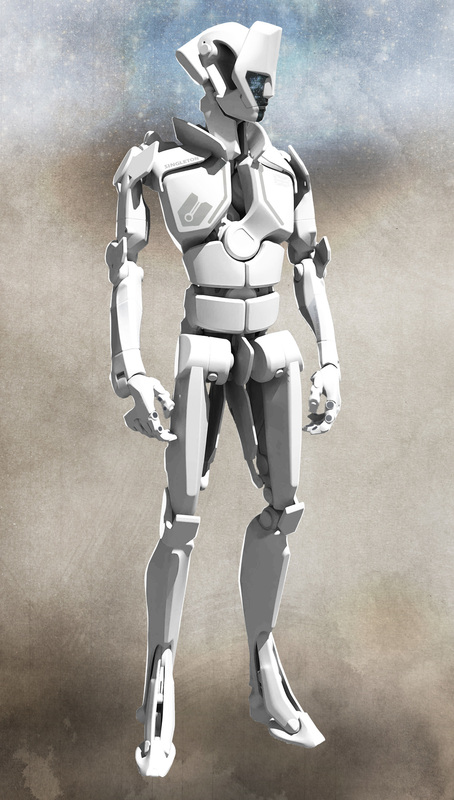 Petroglyph has a long history in the realm of real-time strategy (RTS) games. This was a studio that was built on the ashes of Westwood Studios, the original studio to work on the Command & Conquer series, after its closure in 2003 by Electronic Arts and they brought their years of expertise into crafting new RTS experiences. The last few years haven't been particularly kind to Petroglyph as they've had their free-to-play multiplayer online battle arena (MOBA) game not take off as expected and a cancelled Kickstarter project due to a lack of interest. These were just setbacks as they tried to figure out what to do next. 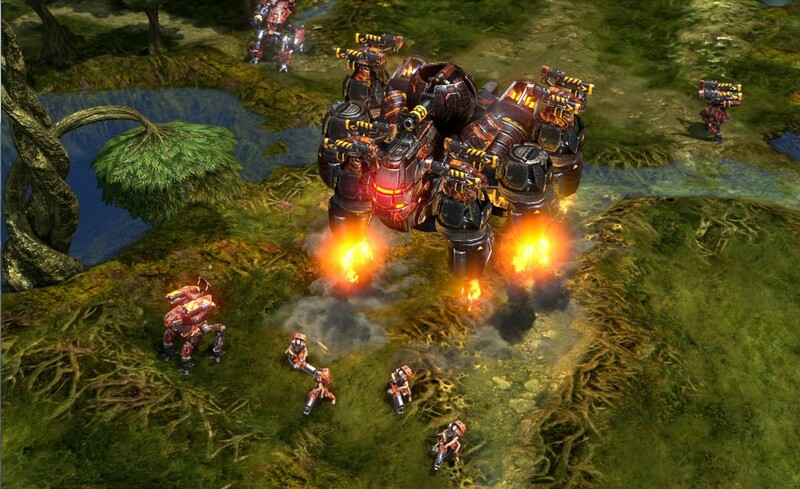 Grey Goo is their next project and, after playing it at PAX East, I can honestly say it's one of the best RTS games I have played in a long time. At PAX East this year, I got to sit down with Petroglyph's Ted Morris as he showed off the game and taught me how to play. Ted and his team want to go back to making a traditional RTS experience that he feels hasn't been around in a few years. Honestly, it's been a long time since I've actually been engaged by a RTS game so I could see where he was coming from. The first thing about Grey Goo that I noticed right away is just how damn beautiful the game looks and there is a huge reason for that. Every piece of that game was meticulously handcrafted by Weta Workshop. If that doesn't ring a bell, this is the same digital effects studio responsible for the Lord of the Rings trilogy, District 9, and countless other films in the past decade. That is the first thing that will draw you into the world of Grey Goo and I'm almost worried that the final release won't be able to run on a lot of different hardware. I voiced my concern about that, and I was assured that the team would try to get the game running on as many systems as they possibly can. There is no denying that if you have a good gaming PC then this game will look phenomenal. 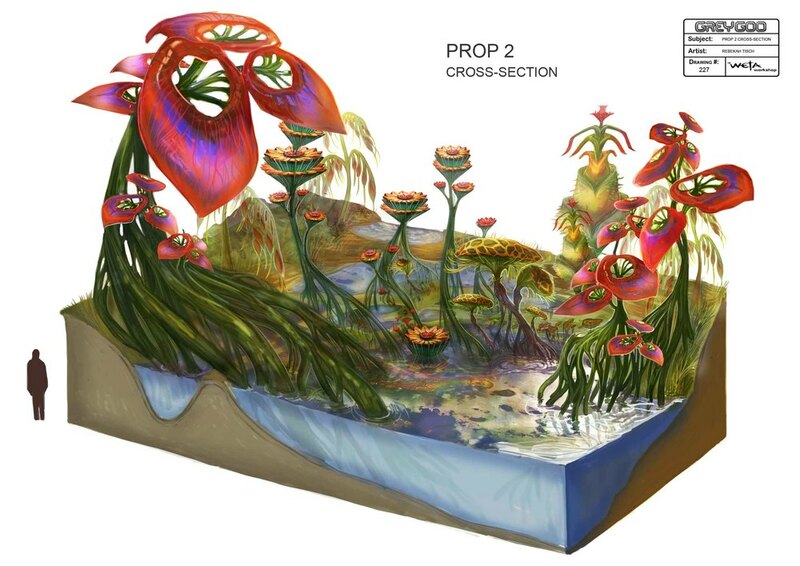 Not only does it have a unique look but every animation makes it feel like a living, breathing world. This is the ultimate weapon for the Betas, you can actually deploy smaller units to attach into the sides to give it more firepower. This is the main base for the Betas, you will start by building off of the corners and every structure follows that same principle. 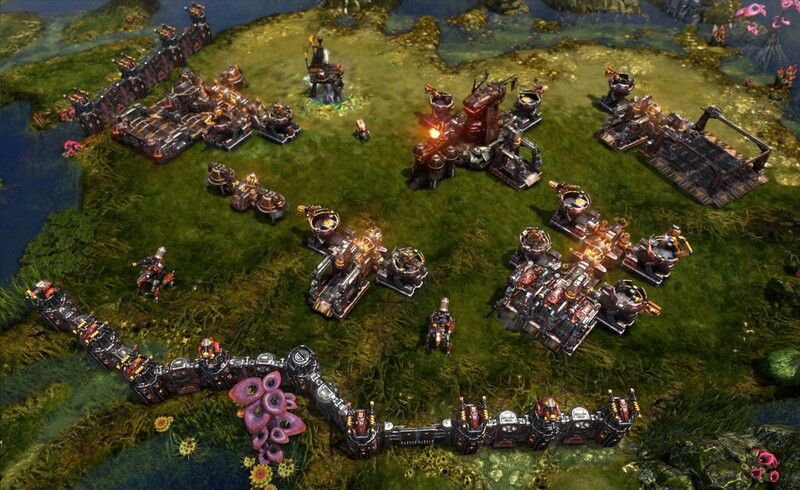 Factories in the same base structure will share any technology you add to them to create different units. The game looks great even in the middle of combat. You can add walls to your bases that have doors for your units to walk through. You can also place units at the top of the walls to become defense turrets. A heavily fortified wall with defense turrets in place, you can remove the turrets and they will go back to being land units. These are the same units you can place in the ultimate weapon. Overhead shot of the Beta base with multiple factories producing your units. There is cover in the foliage, it's very important as your enemy can't see you unless they are also under it. Great for sneak attacks. These are the human units scouring for trouble. Another shot at the human base. This highlights the teleporter at the human base as it allows you to send troops wherever you want on the map. It does have a timed cooldown though so you need to be strategic about it. For as great as it looks, amazing visuals aren't going to keep you coming back. 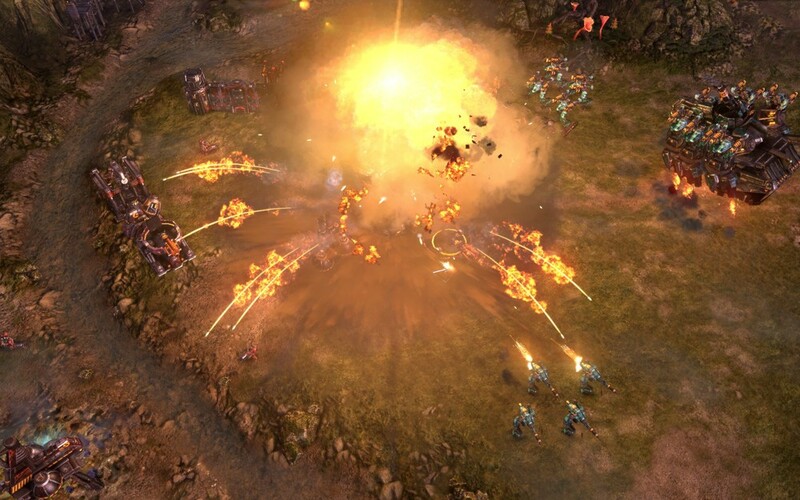 Luckily for Grey Goo, this game also delivers in terms of gameplay. 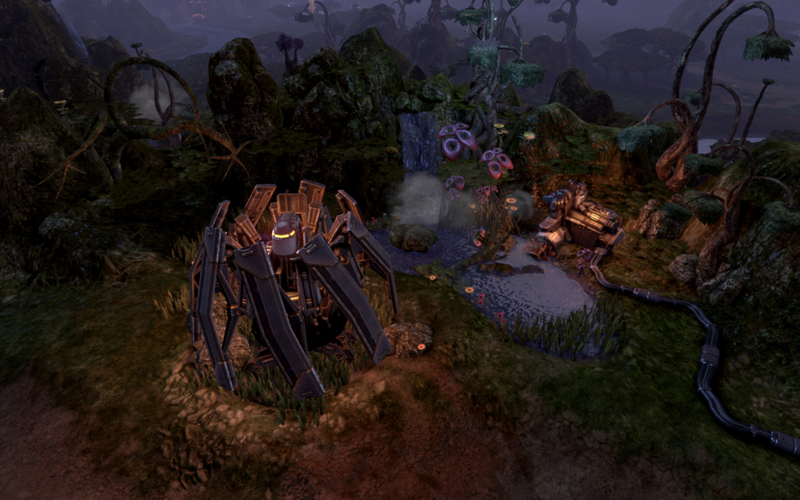 One of the things I noticed right away was just how easy Grey Goo was to start playing and building up your base. 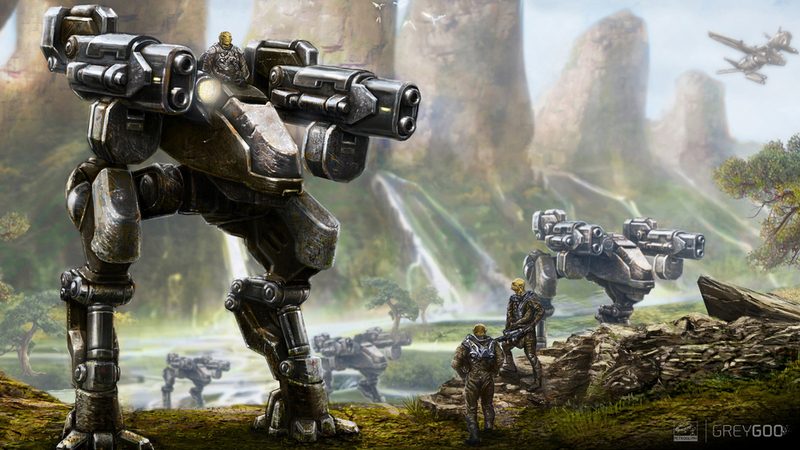 This game focuses on the fun parts of a RTS game to keep you engaged and to keep you playing. Resource management is important in this game, but Petroglyph has simplified this by having certain resource points to gather from and there is only one simple resource to collect. You also don't have to worry about hiring workers and keeping an eye on it as your base will automatically create robots to mine these for you. The only time you really have to worry about resources are when your mines are attacked by the enemy and if you're able to survive it's just as simple to rebuild and keep gathering. 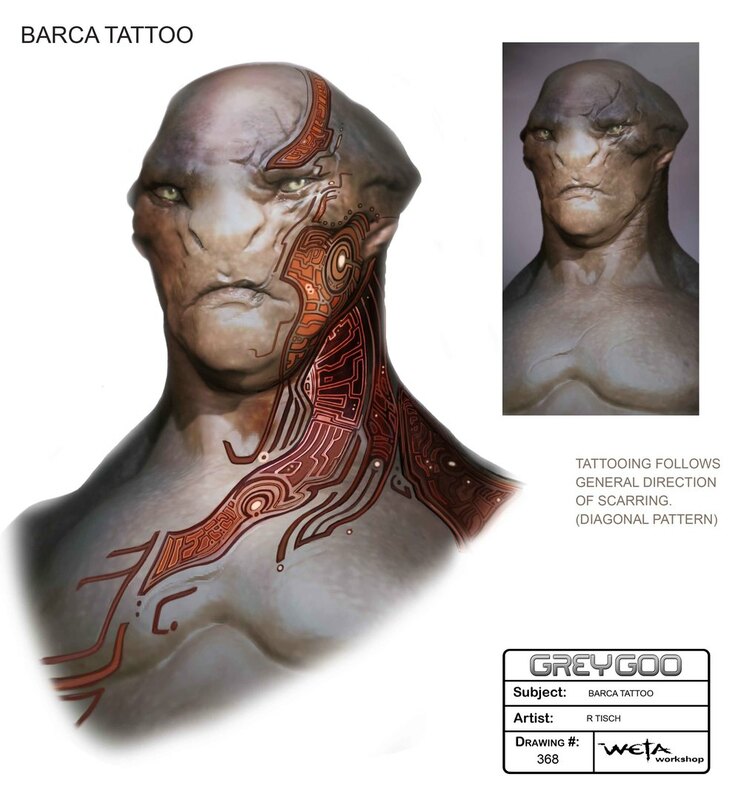 The main aspect of Grey Goo is building up a strong base and it doesn't matter which faction -- the Betas, the Humans, or the Goo -- you choose from. There are differences between each faction in regards to special abilities, how they build, etc. Things such as the humans needing to have everything connected and they also receive a teleport technological power to throw themselves into any situation. 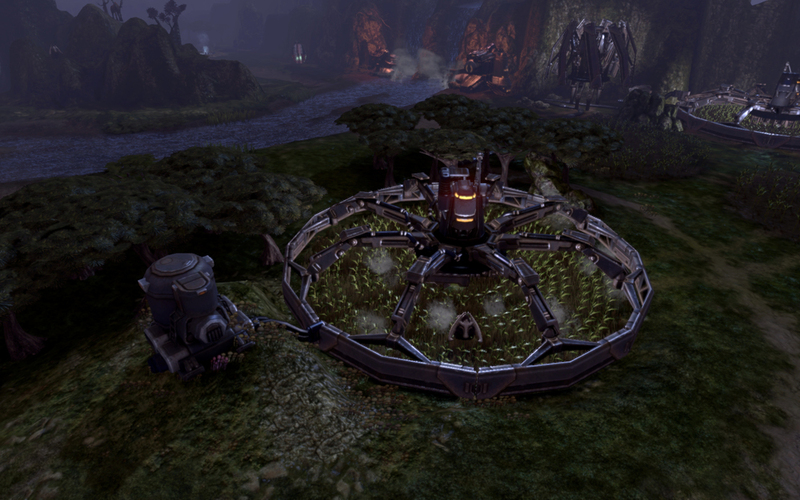 Each faction feels very different and has different strategies when building up your base. Building a base is a rather simple yet deep experience as you build small, medium, or large hubs that you can add factories and modifications to so that you can create different types of units. 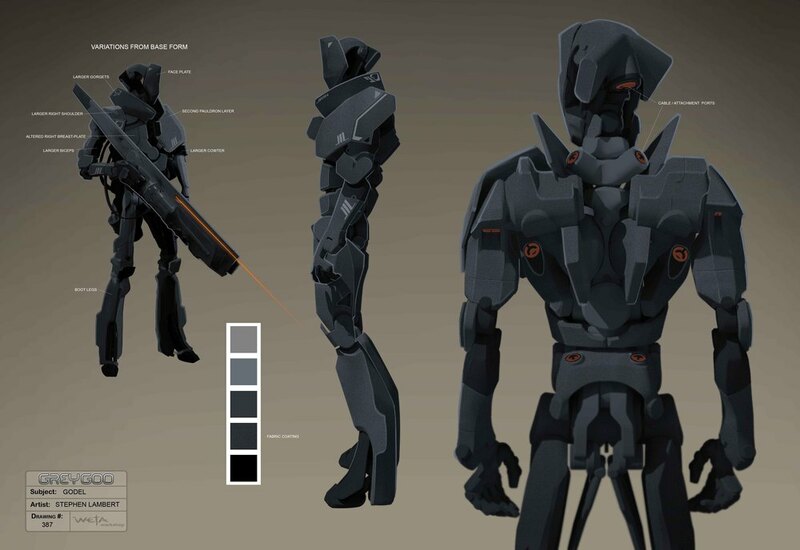 It goes really deep with each piece having a tech tree to add new abilities into the fray. 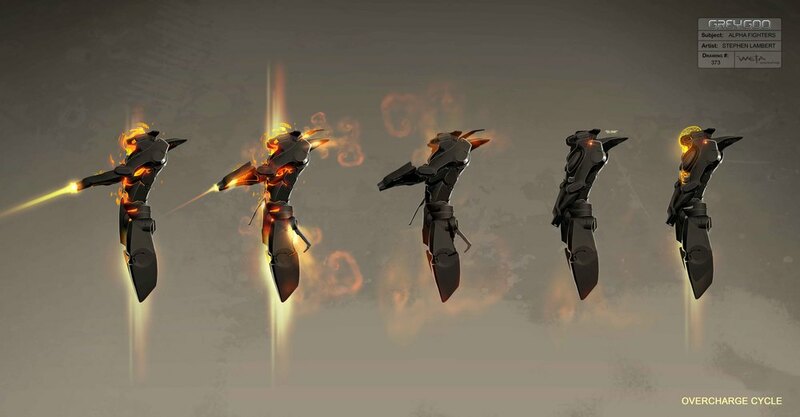 You will even be able to make tough choices in the end game as one of your bases can be transformed into an ultimate weapon which can be incredibly destructive to your enemy but will also take away a huge part of your assembly line for creating new units. It's a high risk situation which can reward you or totally screw you if your opponent is ready for it. Combat is what you would expect out of a normal RTS game and there are multiple types of units that will counteract each other. Each unit will have its own abilities and work better in certain situations. One of the biggest factors in combat is your lack of ability to get rid of the fog of war (not being able to see what your opponent is doing) which means you need to scout very carefully. This also leads the way to better strategy, especially in regards to the cover system. 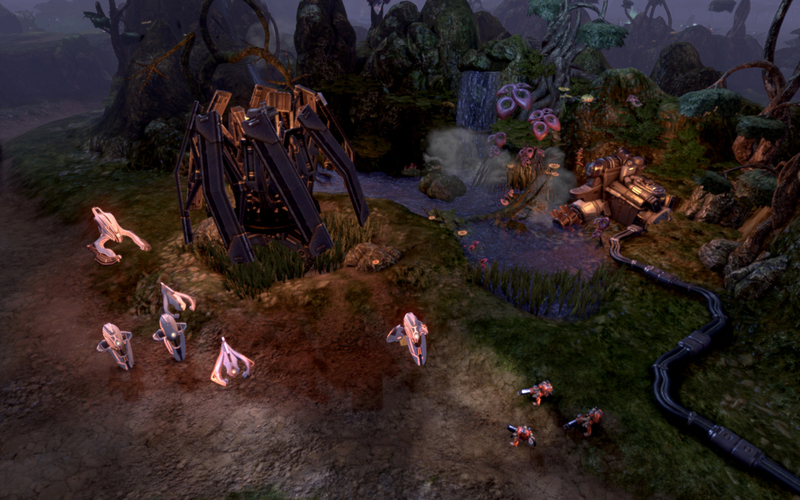 In Grey Goo there will be cover available if your unit hides in the trees or foliage, provided by the map you're playing on, and your enemy will not be able to see you unless you are in the same cover as them. This is great for sneak attacks or even to hide a bunch of units near an enemy base as you plan your attack strategy. Ultimately, this is how I ended up defeating Ted in our battle at PAX East. Honestly, I could sit here for hours and write about all the small aspects that make this game worth checking out. 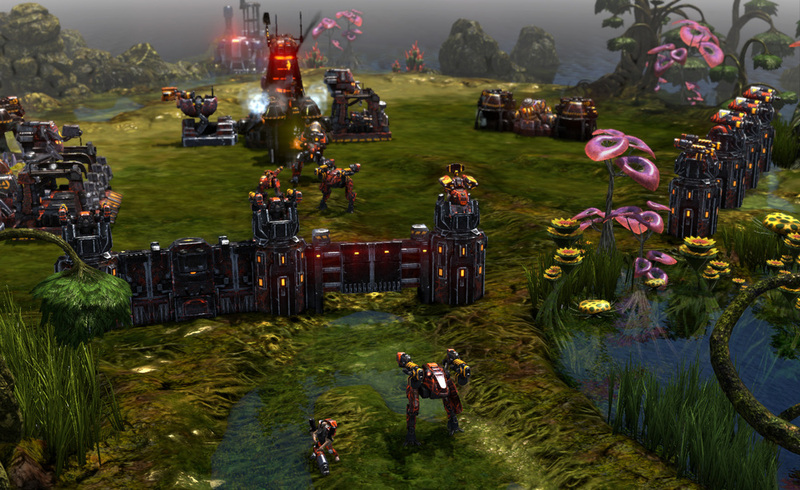 Grey Goo is a fun, old school RTS game that is great for players who aren't very skilled at RTS games to those who want all the deep intricacies of a top notch strategy game. This is a game that I'm excited to see when it comes out as I'm curious to see how the Goo changes things (as they weren't showing that faction at PAX) and I just want to play the hell out of it. I want to try each faction and get to know their strategies, their lore, and everything inbetween. It left me wanting more and you should give it a shot when it releases on PC later this year.